Emergency Dentists USA provides a free 24-hour dental hotline that connects you to a friendly operator to help you schedule your an emergency appointment right now. Scroll through our Glendale emergency dentist listings to select the right dentist for your current dental emergency, or talk to a live operator who helps you to get the treatment you need without the hassle of searching for a dentist. 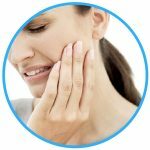 Great website full of helpful dental emergency info for when you really need it, glad I found it! 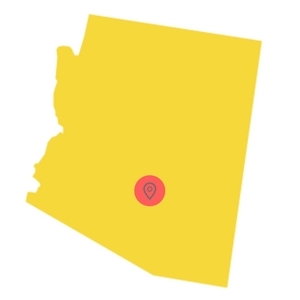 Finding a 24-hour emergency dentist in Glendale, Arizona does not have to be a chore when you simply scroll through our wide selection of great emergency dentists below. Choose the clinic with the hours that you require or pick the dentist who suits your needs. It’s simple to find an emergency dentist when you know what you are looking for. Walk-in dental clinics allow patients to get treatment without making an appointment. After hours dentists are often open later during the week and some will even have weekend hours available to patients that cannot schedule a workday appointment. There are also 24-hour emergency dental clinics, however, there are none of these available in the Glendale area currently. Emergency Dentists USA has the right Glendale emergency dentist for your current dental emergency and your future oral care needs. Simply scroll through our great selection of dentists and select the one with office hours or an address that suits you best. Use our 24-hour hotline to speak with a live representative who will even help you to schedule your appointment with a new Glendale emergency dentist. Description The last thing you want interrupting your stay in Glendale is very severe dental pain! At the first notice of an aching in your mouth or potential abscess, make the decision to quickly feel better by linking up with our free emergency referral service. Description: This well-known local practice has staff that can speak Spanish, and also has the very convenient element of being open 7 days a week. If you know you are having a dental emergency, you can be seen during that same day by a professional with four decades of experience. Description: Doctor Steele is the one who runs this practice on a daily basis, and he is excited to give you and your family a 4-star dental experience. This clinic also provides an after-hours hotline to make sure that anyone in severe pain can receive treatment. Whether it is routine check-up attention you need or a full-blown emergency, you can count on the staff here to be there for you. Description: This clinic located on Thunderbird Rd has had many patients of late claiming that they “love to come here”, and that they know from the first second they are in great hands. From the hygienist on up to the doctor, everyone here is always working together to make sure that the patients leave happy and healthy. Dr. Narra is known for giving extremely professional care, and this outfit also has an extremely great reputation for customer service. Description: Located in downtown Glendale, this is an outstanding practice to track down if you need a standard dental checkup, crowns or a root canal, or emergency procedure help such as an extraction. New patients are treated with a high level of compassion and understanding, and this clinic has a full understanding of just how much people are worried about finances. A Glendale emergency dental clinic is similar to your regular dental office in that both offices perform routine dental procedures like x-rays and examinations, cleanings and fillings. It’s best to try to arrive about 15 minutes before your new dental appointment to ensure that you have plenty of time to fill out the paperwork and ask questions regarding your upcoming dental procedure. Bring a list of your current medications to the Glendale emergency dentist appointment and let the dentist know if you have any known medical allergies. You should Let the dental office know how you plan to pay for your services and ask if they accept your form of dental insurance. There are a variety of common 24-hour dental emergencies that can strike at any time of the day or night. From a lost filling that causes pain when you chew, to a loose or lost crown that exposes a damaged tooth to food debris, common 24-hour dental emergencies can sideline your fun while you visit or live in Glendale. If you experience any of these dental emergencies listed below, you will want to make an appointment with your Glendale emergency dentist as soon as possible. When a filling is lost, the cavity in the tooth is exposed to food particles that cause tooth decay to begin again. Fill the hole in the tooth with a small piece of sugarless gum to protect the hole in the tooth from debris. Do not use gum with sugar as this can cause pain when applied to the cavity. An emergency toothache is a painful, but common dental emergency that really can strike at any time. Apply a cold compress to the outside of the mouth to lessen pain and reduce swelling of the affected area. Never place aspirin between the cheek and gum to reduce pain, as this can cause burns of the soft tissues of the mouth. Rinse your mouth with water to remove debris and floss gently to ensure that there is nothing stuck between your teeth that might cause pain. 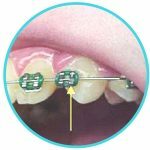 Broken or loose braces and wires are an extremely common dental emergency. If a wire is poking your gums, use the eraser end of a pencil to push the wire into a more comfortable position. Never cut the wire as this can cause the repair to be much more difficult. Use orthodontic wax to apply the broken bracket or braces against the teeth and make an appointment with your an emergency dentist as soon as possible to facilitate the repair. Unfortunately, you might need an emergency tooth extraction if your tooth has decayed past the point where a dentist can repair it. Waiting to have the tooth extracted rather than visiting the dentist immediately can complicate the procedure and prolong the use of medications like antibiotics or painkillers after the procedure. Your Glendale emergency dentist will generally begin the procedure by taking an x-ray of the tooth and performing an examination. He or she then chooses a general or local anesthetic to ensure that you feel comfortable during the procedure. A special tool is used to remove the tooth from the gum and stitches that dissolve over time are used to close the gum. The area is packed with gauze to control any bleeding and full healing generally occurs within one to two weeks. During the healing portion of your tooth extraction procedure, be sure to follow any instructions given by your dentist. Heading to the emergency room for a toothache probably seems like a good idea, but the hospital emergency room should not be your first choice for a dental problem. Your Glendale emergency dentist is trained to provide emergency care for any dental issue, making him or her the best choice for your dental emergency. It is important to see a physician at a hospital emergency room if your dental problem stems from an accident like a sports injury, a fall, or even a car accident. In these cases, the physician is able to ensure that you do not have other injuries to your body that could be more serious than a dental problem. If you have a dental emergency and are unable to contact a Glendale emergency dentist that works for you, contact our hotline and let the staff at Emergency Dentists USA help you find what you need! Always check your new dentist’s licensing and credentials before you make that appointment. 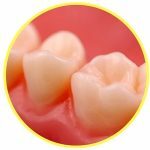 Use the American Dental Association’s website located here: www.ada.org to ensure that your dentist is current in his or her licensing and certifications. You can also check out new dentists on the Arizona Dental Association’s website here: www.azda.org. You can also find great tips on promoting dental care and keeping your mouth healthy.